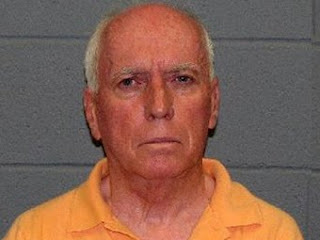 Connecticut: Kevin Gray, a priest at Sacred Heart Church in Waterbury is expected to turn himself in after being charged with siphoning $1.3 million from church coffers to pay for his secret gay lifestyle. After a lengthy investigation, the authorities have charged Gray with first-degree larceny, which could carry a 20-year sentence if he's eventually convicted. Apparently for the past seven years Gray has been spending church money to fund trips to New York and pay for hotel rooms, restaurants, clothing and sessions with male escorts. When questioned as to why, police say Gray told them that "he felt the church owed it to him" because he was unhappy with his church assignments. This is disgraceful. What kind of organization are the Catholics running? It seems that the time has come to question your priest or minister about where the money you give goes.